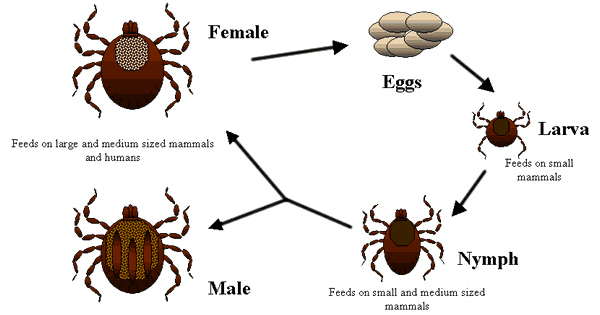 Tick species are widely distributed around the world, but they tend to flourish more in countries with warm, humid climates, because they require a certain amount of moisture in the air to undergo metamorphosis, and because low temperatures inhibit their development from egg to larva. Tick elimination is a combination of chemical and non-chemical control methods in and around your home, as well as removing ticks from dogs. Chemical elimination of ticks includes insecticide sprays and insecticide dusts. This article will detail both because both are important if you wish to rid your home and property of ticks. Keeping grass and weeds cut short in tick infested areas increases tick desiccation during hot weather. Removal of abandoned birds' nests in and around the property will reduce tick numbers.